The Roundtable. : Mini Review: "The American"
If you happen to have two unique parents -- in this case Fred Zinneman's "The Day Of the Jackal" and Martin Scorsese's "Taxi Driver" -- and those two parents have a child, it would look like "The American." The child owes a debt to each parent, of course, but it is blessed with a personality all its own. 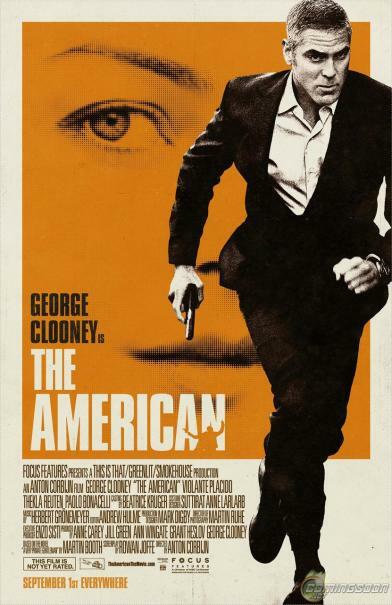 "The American" is a beautifully made film, made sturdy with old school craftsmanship. It's got pleasures very few films offer up these days, including a pervasive and mesmerizing sense of place, and a quiet, haunted center, which is the presence of George Clooney. See this film if you can. Clive Donner's "A Christmas Carol"